Your phone could potentially be a treasure chest of opportunity. It’s all about being in the right place at the right time. Take Karen Anvil for example. Anvil is a single mother who took a trip with her daughter to Sandringham on Christmas morning 2017. She happened to take a picture that she now hopes will help her daughter through University. The image was used by over 50 publications and was on the cover of The Sun, Daily Mail, Mirror, Star, Daily Telegraph and Express newspapers. 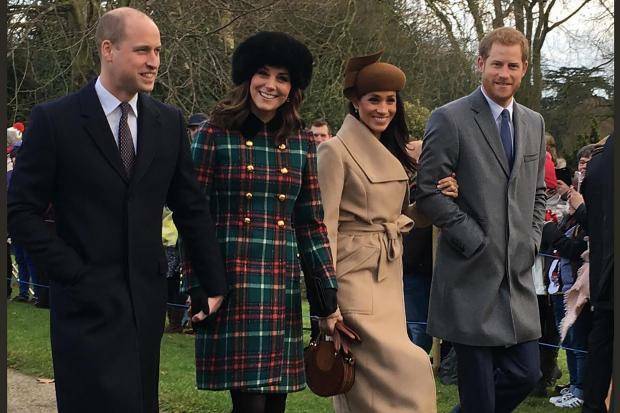 The picture is iconic not only because it was one of Meghan Markle’s first outings with the Royal family but because it shows the Royals without the air of formality that usually surrounds them. It’s the sort of picture that makes the moment. The one that everyone remembers. What is so exciting about this is that now the potential to make the moment is available to everyone. It sits in our pockets everyday. Anvil didn’t need a fancy camera or a press pass to take a picture that any royal photographer would have been proud of. This goes to show that you could be getting more value from the content on your phone then you may think at first. So this weekend keep your eyes peeled and your camera ready. We want videos of you and the rest of the country celebrating the wedding. Be creative, have fun, make the moment your own. Are you invited? Show us! Is your Uncle Dave a Prince Charles lookalike? 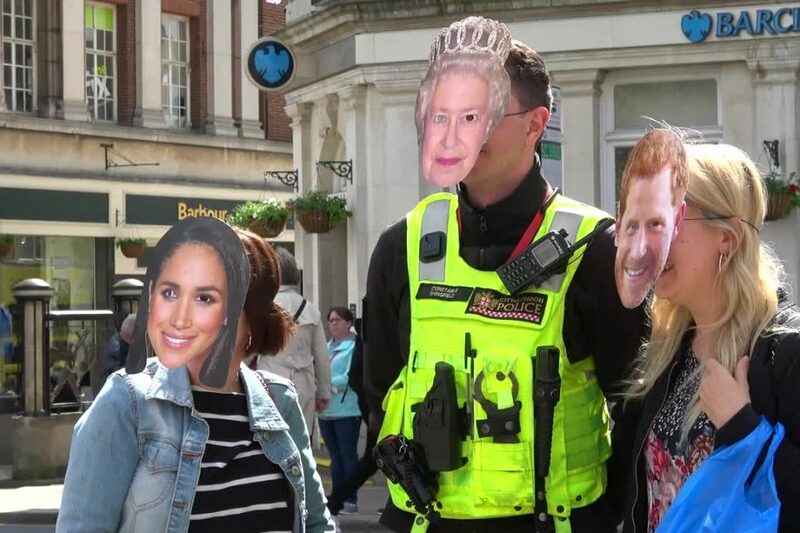 Do you know any Royalists? Is your family getting dressed up for a viewing party? Is your street having a party? Have you been camping out for a good spot? Since Donald Trump took his seat in the White House, cities and capitals across the world have been echoing to the clamour of protest. A staggering 500,000 participants are estimated to have attended Washington DC’s ‘Women’s March’, while a protest this week against right wing political commentator Milo Yiannopoulos allegedly saw fireworks launched at police. Discontent is in the air, and these demonstrations have irrevocably forced their way onto the news agenda. However our clients wish to portray the protesters and their motives, it is our duty as Newsflare journalists to make sure we provide them with compelling footage. We have been kept busy; the office has been ringing all week with sounds of mass chanting escaping from our researcher’s headphones. Yet protests, to a greater extent than many news events we cover, require planning and organisation. One of the main advantages of having a global network of videographers is that they can be at the right place at the right time if and when something happens. But due to social media, news organisations will know about a demonstration long before it takes place. As soon as all the major news networks start bringing their cameras down, the role of the citizen journalist changes somewhat. Like any other piece of content, our clients want something different. Footage of crowds marching and chanting is usually too generic. We’re after vignettes that detail the individual human aspects of a demonstration. User generated content has a great way of telling stories in a first-hand, immediate way. While aerial shots put out by traditional news outlets may provide an objective sense of scale, smartphone footage portrays the drama and emotion of actually being there. Newsflare journalist Antia Geada is a keen grassroots storyteller, and one of our foremost experts when it comes to documenting protests. She was able to provide us with some of the key elements that she looks for when covering a political demonstration. “Every time a protest happens somewhere in the world we look for videos beyond the mainstream media coverage as we know most of our clients can get this content easily by other means,” she wrote. 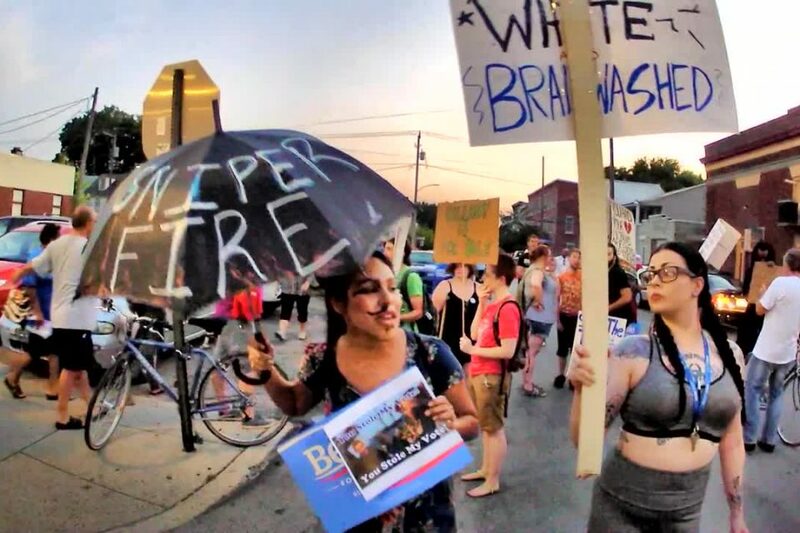 “Another key element I look for when sourcing protest videos is what I call the ‘unique’ incident; when something unusual happens,” she continued. “Essentially those kind of moments that would stick in your audience’s mind as they portrait a different angle into a given news topic”, she added. Protests are divisive by nature. And editorially, protest coverage can run the risk of sounding partisan. As such, we have strict journalistic rules for how we report on political demonstrations, as we do for all other news stories. Being a video marketplace, we have no motive other than connecting our contributors with media networks. As such, our aim when pitching a video to our clients is to provide unbiased copy that serves the purpose of detailing all the key facts that are involved. We are always careful not to credit or discredit the reasons for the protest, and we avoid making any value judgements as a matter of journalistic principle. Tensions are running high on the political front, and at times like these user generated footage can be invaluable in documenting how people are really responding. With ‘fake news’ making all-too-frequent appearances on social media, the role of responsible reporting has never been more valued. 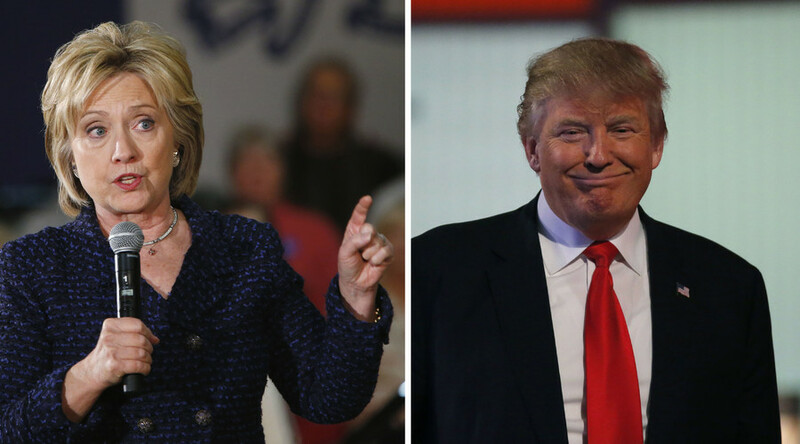 2017 looks to be another political battleground. For many, the decisions being made by world leaders have aroused an activism and sense of collectivity that was previously dormant. 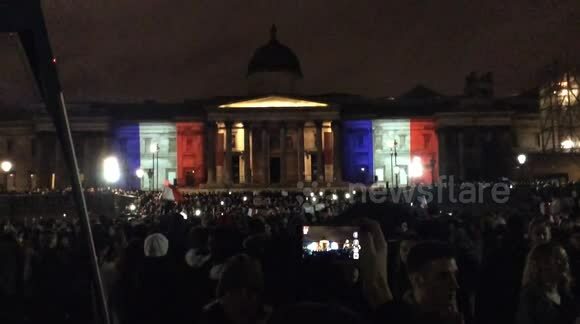 The image of thousands of people turning out in solidarity will always be particularly potent for our news clients. It is our job to make sure we’re sourcing and providing them with compelling, yet responsibly documented footage. For many people, 2016 is a year that would be best swept under the carpet. Given all the celebrity deaths, political upheavals, and tragic news events that have taken place, there are few who would talk glowingly about the year that’s been. The start of 2017 is anticipated with all the significance of a curse being lifted rather than just an excuse to get drunk. 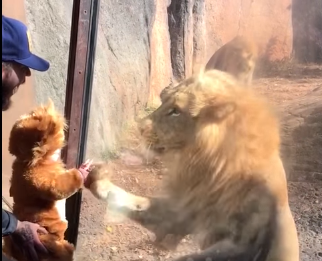 In the world of viral video though, there have been plenty of amazing moments recorded and shared online. Our researchers have been kept busy with all the various crazes and challenges that have emerged this year. Many have been for a good cause, others just good old fashioned frivolity. So whether it was the epic wins, heartwarming gestures, or moments of accidental brilliance, let us remember those times when the internet brought us all together in mutual merriment. Starting out among bored college students in the US, the Mannequin challenge took the world by storm towards the end of 2016. For a week or so, almost everywhere you looked you saw office workers, gym goers, and tube passengers doing their best living statue impressions, cashing in on the viral craze. One of many memorable moments of the US presidential election was seeing Hillary Clinton and her campaign team standing shock still on their private jet, perhaps a dress rehearsal for the eventual election result. We have already covered our top 5 mannequin challenge clips in an earlier blog, so to avoid a blogception effect, we have selected our favourite video from the lot. If anyone’s ever been on a London Underground, you’d know how averse its patrons are to all forms of human interaction. Which is why inspiring a carriage full of tube users to participate in an impeccably performed Mannequin Challenge is deserving of our utmost respect, and inclusion in our list. If you woke up on the morning of July the 14th and found your journey into work confounded by pale faced youths walking around aimlessly gazing at their smartphones, you’d be forgiven for thinking Google Maps had been hacked. Your confusion would then have intensified while overhearing colleagues bragging about ‘how many’ – often medical sounding names – they had caught. Almost the entire adult population went through similar experiences when Pokemon GO was released in the UK. Here at Newsflare HQ, our researchers worked furiously to ensure that there wasn’t a Pokemon GO win, fail, or any other notable incident, that passed us by. Adopting the same ‘gotta catch ‘em’ attitude promoted by the game, we brought in clip after clip of Pokemon related hijinks. But amid all the Pikachu-chasing crowds, hilarious disputes, and clever hacks, our most successful video of the lot took place in a park in the US. It is pretty cruel, but rather funny. It is an unspoken rule among the internet community that every year needs its dance craze. 2010 had its Dougie, 2013 its Harlem Shake, and now we are blessed with the ‘dab’. For the uninitiated, ‘dabbing’ essentially involves looking towards your armpit while sticking one arm in the air. Like all major historical events, its origins are disputed. It is said to have emerged out of the Atlanta hip-hop scene, with several artists – Skippa da Flippa, Peewee Longway, and Rich The Kid included – all laying claim to having invented the dance sensation. Whoever it was, no one could have anticipated it entering into our collective consciousness in the way it has. You’d think that the harmless pastime of flipping a partially empty bottle of water into the air to make it land upright would be pretty free from controversy, but when schools around the world start banning it, you know it has gone out of proportion. Its origins lie with a chemistry student in the US performing the trick at a talent show. Since then, the internet has been pretty inundated with others attempting the feat. With the dull thud of challengers trying to accomplish the stunt echoing throughout homes and schools, it can be difficult for run-of-mill water bottle flipping to gain any kind of ground in the viral video market. And with all the video platforms full of different variations on the theme, our researchers had a tough job of sorting out the best from the rest. 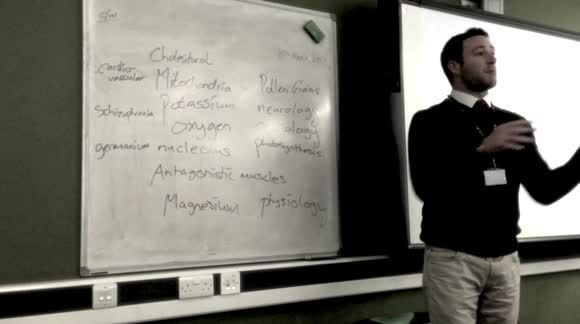 This video was identified – mainly down to its complexity – as being in the former category. A bottle flip from a rooftop onto a trampoline. Impressive. If our previous inclusions have brought about a moral skepticism as to whether these crazes have done any good, or are just plain disruptive, then consider this final entry. The PTSD pushup challenge was a social media led initiative to increase the public’s awareness of post traumatic stress disorder, especially relating to servicemen and women. It started off in the US military, then spread around the world to include megastars such as David Beckham and Dwayne (The Rock) Johnson. But if you wanted to see more high octane efforts, then Newsflare was your place to look. Among many excellent videos brought in by our researchers, perhaps the most incredible one involved a man from Canada performing the 22 pushup challenge while flying a plane. The cautionary note of ‘do not try this at home’ applies pretty strongly to this clip, although I’m unsure how many of you have your own jet parked in your backyard. If you’re a budding videographer or simply have a talent that you want to share with the rest of the world, our website is full of assignments and directives for filming engaging and newsworthy material. So whatever you’re doing throughout 2017, remember to keep Newsflare in mind. We wish you a happy new year, and best of luck for the year ahead. The 13th of November is a poignant date on the news calendar. Last year, 130 people were killed, hundreds wounded, and the world reeling with shock after a series of coordinated terror attacks in Paris. Friday nights are usually a time of celebration, of joy and optimism. But by midnight, and as the full details of the attacks were revealed, that party atmosphere quickly gave way to a sense of horror. On that chilling night, seven attacks were made in different locations across the French capital. Whether caught up in the events, or following the developments from the safety of social media, it is still painful to recall the feelings of chaos, alarm, and fearful apprehension that reigned throughout those hours. And as the prayers and tributes were pouring in, the world’s media struggled to keep track of exactly what was going on. Working long into the early hours of the morning, Newsflare’s team – thanks in large part to the sterling efforts of our French researcher Laure Boulinier – managed to piece together a story of what happened that night. Demonstrating tact, sensitivity, and mindfulness for those caught up in the events, a group of citizen journalists were encouraged to upload their footage to our website. From scenes of victims being carried off on stretchers outside the Bataclan, to streets being closed down in the immediate aftermath of the attack, our verification methods ensured that the story was told both factually and respectfully. And, at a time when emotions were running high, it is a great credit to our news team that the job was performed with such a degree of professionalism. “One of Newsflare’s roles in the media landscape is helping news organisations accurately report current events by responsibly sourcing and verifying user-generated content to supplement their in-house work,” said Mark Morris, the company’s head of news. “You also have to consider the safety of the people filming the content and whether the footage is in the public interest, so journalism training and high levels of professionalism are an absolute must if you want to be one of our journalists,” he continued. This weekend, in a fitting tribute to the victims of the attacks, the newly refurbished Bataclan will reopen with a concert by British star Sting. A memorial event at the Place de la Republique will then take place on the Sunday, along with numerous other tributes across the country. While the wounds are still deep and will continue to be felt, the whole world will be behind Paris in remembering that tragic night. Wherever you are, If you’re able to capture some of the Paris tributes this weekend, please upload them to our website. Whether small gatherings or mass memorials, our clients will be very interested in any footage that shows how you’re honouring the occasion. 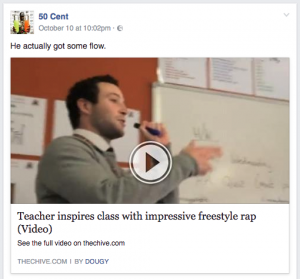 “He actually got some flow.” In any other context, this ungrammatical endorsement of a grammar-themed video would be objectionable, but when those words are spoken – or rather written – by rapping kingpin 50 Cent, it is definitely something to tell your mates about. After 21 probing questions about our terms of service, Foley uploaded the footage to Newsflare’s website last Thursday, and it has since received more than just a lil bit of interest from a veritable candy shop of clients. A few days on, it is fair to say Muz has just taken his place in da club of successful Newsflare members. This week alone has seen Muz demonstrating his freestyle skills on BBC Radio 5 live, being unsubtly propositioned by Emma Bunton on Heart Radio, and fielding frequent calls from numerous US chat shows. But, despite being caught up in a media whirlwind as rapid as his own rhymes, Foley remains grounded, and took time out to offer his insight into how it feels for a video to go viral. What was your initial reaction when you saw your video shared by 50 Cent? My initial reaction was how funny the whole thing was. It was at like 7.30am and I got tagged in a status, I thought it would just be another meme (2016 innit)… but no it was Curtis Jackson himself. I told my girlfriend and she just ignored me like I was joking and went back to sleep. I went into the lounge and started laughing. How have your pupils reacted to seeing you on all these websites? How has Newsflare helped you in getting your video out there? Without Newsflare, this probably wouldn’t have happened. I do this all day every day, all it took was one video going to Newsflare (technically two videos) and it blew up. Newsflare got my foot in the door, now the door is well and truly off the hinges, and the house is spinning away like that wizard of Oz scene. It’s crazy. 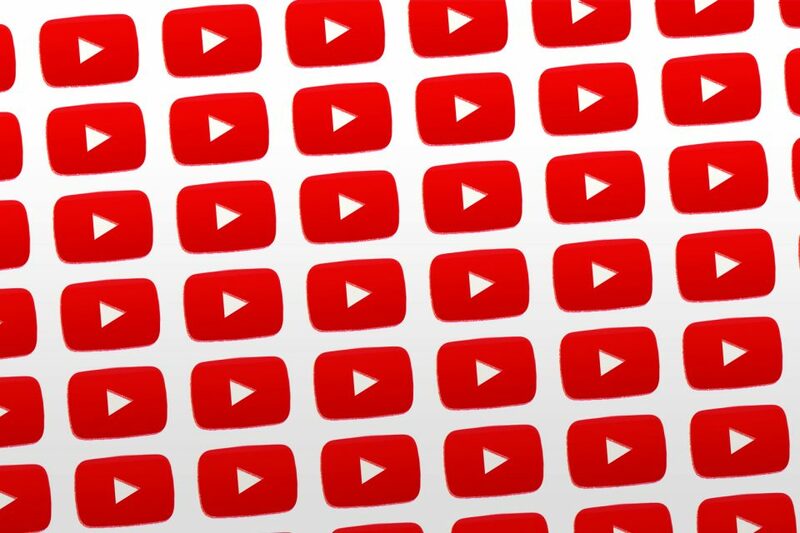 What is your perception of the viral video industry? Do you think this video will allow audiences to understand and appreciate the value of the work you are doing? Honestly. I’m unsure. I don’t want to be seen as an internet sensation. A lot of media outlets just share and share and share without really looking into how they are describing me, most don’t realise how much I care about this work in the long term. It wasn’t just a gimmicky performance. That being said, the attention that has come from it has provided opportunities to help my students on a larger scale, by giving us all more exposure. Would you recommend Newsflare to your friends? It depends on my what my friends want. If they want a quiet day, with no American chat shows hassling them. Then no I wouldn’t recommend Newsflare. But if you want to be spun into the catherine wheel of exploding internet fame. Then yes. Yes I would. If you know someone with a talent that deserves recognition, head over to www.newsflare.com and upload any footage you get! You never know what might happen. At Newsflare, we’re not political commentators or newspaper columnists, but we are journalists, and it’s our job to provide verified video content to the world’s news organisations when major events take place. There has been nothing more major on the news agenda in recent history than the UK’s surprise vote to leave the European Union. A week has now passed since the referendum and we’ve been covering the story from start to finish, sourcing footage of protests, interviews with leading politicians and speeches by those on both sides of the argument. But I wanted to write about two videos that we sourced on the Friday, soon after the shocking result was announced. One highlights the importance of the relationships we have with our regular members, the other highlights the importance of user generated content when it comes to covering serious current affairs events. Both videos also involve one man who has proved to be outstandingly divisive in the wake of the Brexit vote – Boris Johnson. Due to an existing relationship with a long-standing Newsflare member, Urban_Pictures_UK, we were able to source HD footage of the former London mayor and leading Leave campaigner heading out of his London home on Friday morning to boos and jeers. The filmer is a professional and was able to get incredibly close to the man we now know won’t be in the running to become the next Prime Minister of the UK, despite speculation to the contrary. The quality of the video, as you can see, is also of broadcast standard and for that reason we were able to sell it to a major UK-based news organisation and add to their extensive coverage of the unfolding Brexit aftermath. It was also shared by over 12,000 people, had 7.5k reactions and over 750 comments on the Newsflare’s Facebook page. The second video was sourced by one of our news desk journalists and was filmed by a member of the public who has not worked with Newsflare before. It shows protesting cyclists blocking Boris Johnson’s car on a road shortly after he left his house. London voted overwhelmingly to remain within the EU and this video and this clip, captured by a member of the public, gave us an initial glimpse of what was to come – days of despair among many remain voters. It was picked up by one of the largest newspapers in the world and a major news broadcaster meaning thousands of people would have seen the footage. I think this video is important for Newsflare and I don’t think it’s too dramatic to say it’s important for society as well, as it really does show how anyone who’s in the right place at the right time can inadvertently become a citizen journalist and contribute to the coverage of a major news event in a big way, and thus have a little impact on people’s lives.